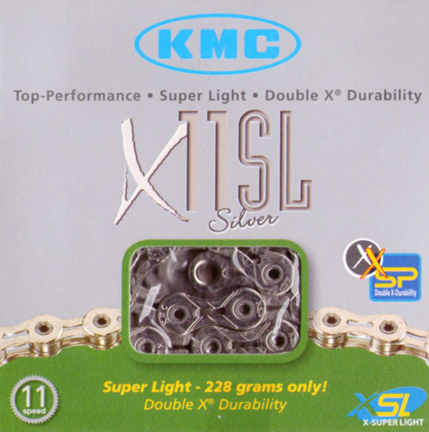 At 224 grams (110 links, most common configuration) probably the lightest bicycle chain available. Hollow pins and ground out side plates. Campagnolo 11 speed compatible. Supplied with 'missing link' for trouble free joining, no special tools required. Titanium Nitride coated for long life and smooth running. 112 links. 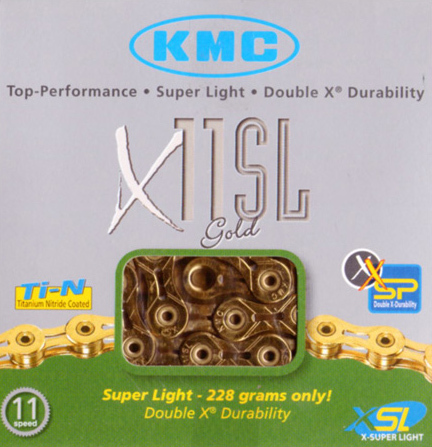 At 224 grams (110 links, most common configuration) probably the lightest bicycle chain available. Hollow pins and ground out side plates. Campagnolo 11 speed compatible. Supplied with 'missing link' for trouble free joining, no special tools required. 112 links.